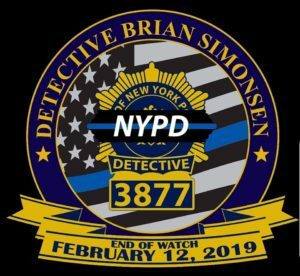 On February 12th, 2019, NYPD Detective Brian Simonsen was killed in the line of duty while attempting to apprehend a robbery suspect. 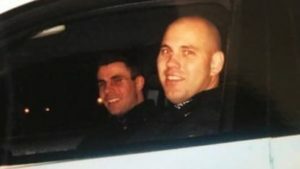 As evidenced by the amount of people who have personal stories to share about the man known as “Smiles”, you get a very real sense of how profound his loss is to his family, his department and his union, where he served as a delegate. 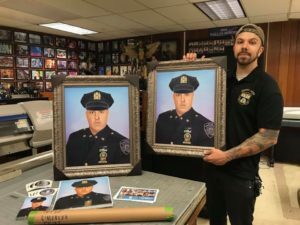 In response to his passing, BBO Founder/President Michael Burke, along with BBO Board members, including Philadelphia Police Officer/Forensic Sketch Artist/BBO Partner Jonny Castro, attended his viewing for the purpose of hand delivering the portrait done by Jonny in Brian’s honor. 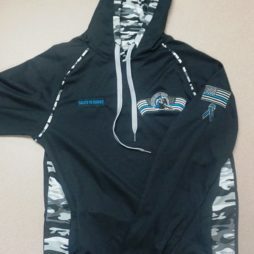 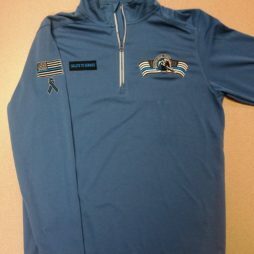 In the weeks that followed, BBO had designed memorial shirts/sweatshirts, hats and coins. 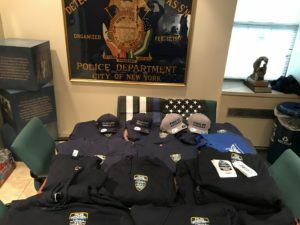 These items were sold with the proceeds being used to provide the Simonsen family, the 102 PCT members and Detectives with similar items, 100% of which were donated. 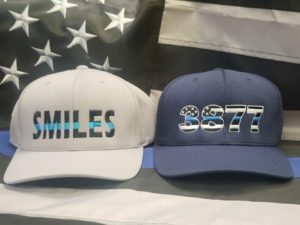 While the shirts and sweatshirts that were sold mirrored the ones that were donated, only the blue ‘3877’ hats were made available on line. 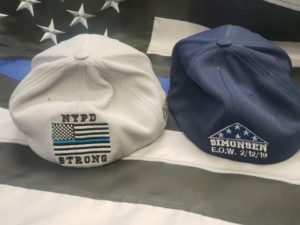 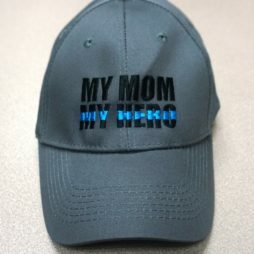 While ‘3877’ hats were also donated to the 102 PCT members, a unique run of ‘Smiles’ hats were also donated, specifically intended for Brian’s squad and family only. 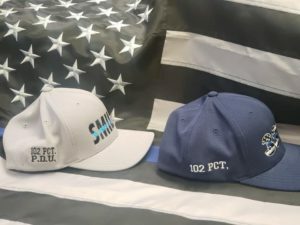 Also, a limited run of 102 coins were produced and sold inside of BBO. 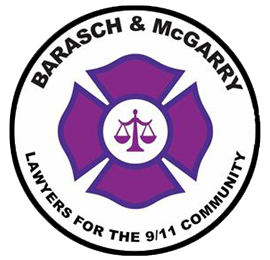 Each coin was numbered ‘BBO 001-BBO 102’. 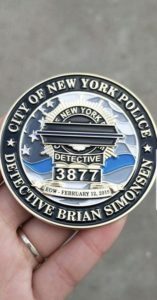 BBO then donated a separate run of 102 coins to the Simonsen family and Brian’s coworkers. 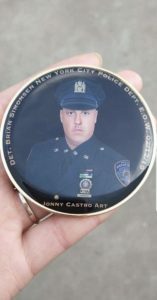 The donated coins were also numbered 001-102, leaving off the ‘BBO’ to distinguish between the ones purchased and the ones donated. 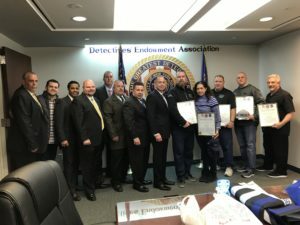 Today, Michael and BBO members traveled to the NYPD DEA office in New York City (Manhattan) and presented the donated items to members of the DEA, including Vice President Paul Digiacomo and 102 PCT Delegate Robert Salvatore. 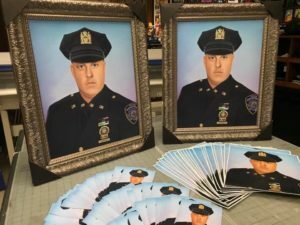 Included with donated items, Jonny Castro printed out enough 5×7 versions of Brian’s portrait to ensure that each member of the 102 PCT would get one. 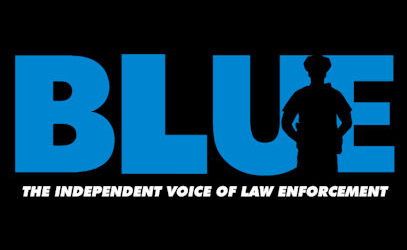 While financially and geographically BBO is unable to do this for every line of duty death that occurs, the times we are given this opportunity are humbling and remind our members of exactly why we are doing what we are doing. 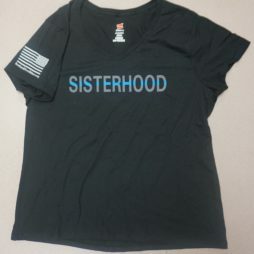 More importantly, the serve as a reminder of why we are doing things THE WAY we are doing them. 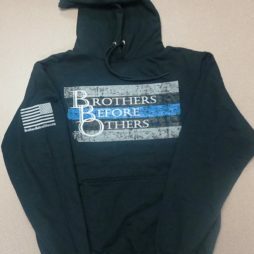 There will never be anything that will replace being able to shake someone’s hand, look them in the eye and give them the face to face assurance that ‘we are here’. 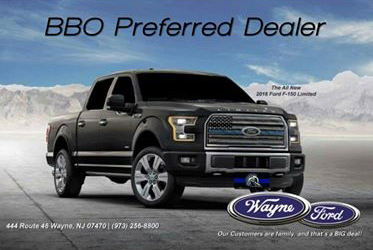 In the age of the internet and social media, it’s almost become completely devalued. 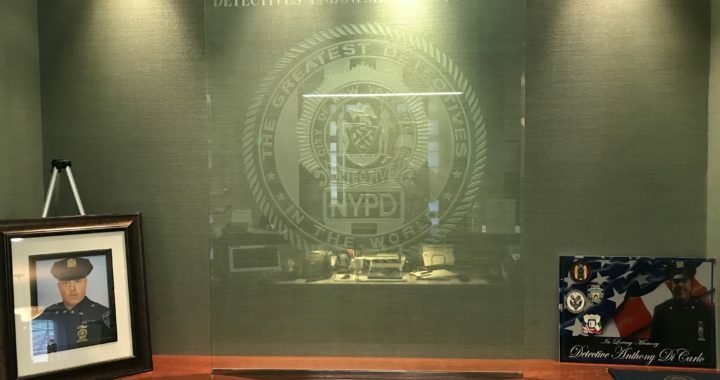 On behalf of Michael Burke and the members of BBO, we would like to thank the entire executive board of the NYPD DEA for allowing us to honor their family in this way. 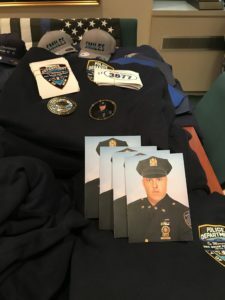 While there is nothing that can ever undo the loss, it is our hope that these items will serve as a reminder to Brian’s family and coworkers that, even when you least expect it, someone is always thinking about you; and they never forget.